Experience Counts. History Matters. 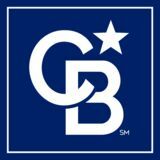 Coldwell Banker Schmidt Realtors is a fifth generation real estate firm owned by the fatherson team of Ken and Mike Schmidt. 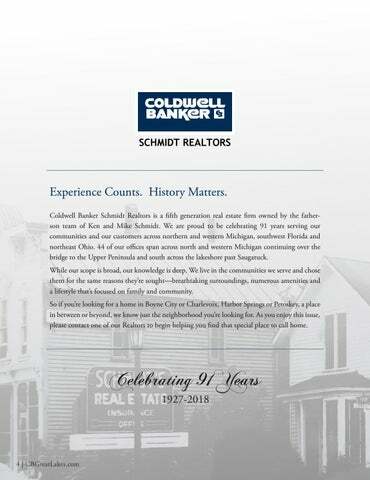 We are proud to be celebrating 91 years serving our communities and our customers across northern and western Michigan, southwest Florida and northeast Ohio. 44 of our offices span across north and western Michigan continuing over the bridge to the Upper Peninsula and south across the lakeshore past Saugatuck. While our scope is broad, our knowledge is deep. We live in the communities we serve and chose them for the same reasons they’re sought—breathtaking surroundings, numerous amenities and a lifestyle that’s focused on family and community. So if you’re looking for a home in Boyne City or Charlevoix, Harbor Springs or Petoskey, a place in between or beyond, we know just the neighborhood you’re looking for. As you enjoy this issue, please contact one of our Realtors to begin helping you find that special place to call home.